Coffee: your friend or foe? Coffee. It’s like the world’s favourite elixir. Mine included. For an athlete, there are many studies supporting its use as an ergogenic aid for athletes – helping reduce rates of perceived pain and effort, improving muscle fibre recruitment and enhancing glycogen repletion post-workout. These benefits are individual, however, and while research suggests that genetic differences in our ability to detoxify caffeine could account for this, it is not a universal finding. This is something true for athletes and non-athletes alike. Other features of coffee are also salient for all individuals. Caffeine is ketogenic; not only can it help mobilise fatty acids to be used for energy, it increases the presence of ketones in the bloodstream – hence it is a good pre-workout fuel to help elicit fatty acid oxidation pathways and provide fuel for the workout in the absence of glucose. This doesn’t necessarily translate in additional body fat loss (more important lifestyle strategies are required for that, such as a caloric deficit, resistance training, reduction in stress etc), but can encourage these energy pathways to be upregulated, helping in the process of becoming adapted to a lower carb dietary approach. Coffee improves insulin sensitivity and glucose tolerance (potentially related to the polyphenols present, though the mechanism is currently unclear), therefore enhancing the effects of both a lower carb approach, or a plan that includes fasting (either intermittent fasting, super-fasting, or a 5:2 approach such as the one in my fat-loss plans). Further, anyone doing my accelerated fat loss plans who have that 16h intermittent fast on the ‘fasting mimicking’ days could experience a more potent effect from the fast by including black coffee alongside water as their beverages of choice. Autophagy, where our body starts to clear out damaged cells from the liver, heart and muscle tissue, is one of the benefits of fasting as you know. In mice models it might take just 16 hours for this to occur, in humans it is likely to take a lot longer given the differences in our metabolic rate (a mouse has a faster metabolism). Consuming caffeine on an empty stomach (or as part of a fast) promotes autophagy, which theoretically would shorten the time that is required to fast to stimulate this process. It also triggers AMPK, an enzyme that inhibits fat storage, promotes fat burning and activates antioxidant networks. These properties are thought to underpin much of the purported health benefits of drinking coffee. It IS a balance though – if you’re following a fasting protocol, working out, and reading this at 3.30am in the morning, it’s a good sign that your brain is wired – raising cortisol to the extent that it’s (quite obviously) disrupting sleep. When we fast, like exercise, it places a stress on the body – this is where many benefits come from, as your body responds and adapts, becoming more resilient. However, too much of anything is too much! If coffee on top of your fasting regime or exercise program (or, life in general) is causing this stress response, then it is worth dialling it back a bit (or go 1/2 and 1/2 with decaf) to see if this changes your stress response. Caffeine (or coffee), though, may not be good for anyone with gut issues. As it can stimulate the stomach cells to release more gastric juices, aiding in digestion, we often hear that too much coffee promotes a highly acidic environment and as such, could increase the risk of damage to the cells and subsequent gut issues. The literature, though, reports that caffeine does not negatively impact gastric or duodenal ulcers, and in fact when administered in vitro, could help repair cells damaged by inflammatory bowel conditions such as ulcerative colitis, and is also protective for the mucosal layer of the gut. Research suggests this is because caffeine increases blood flow to the gastrointestinal tract. Conversely, caffeine can lower the tone of the oesophageal sphincter – the valve that controls the release of stomach acid into the oesophagus, thus may promote heartburn and reflux. With all research studies, it’s important to remember you are your own best investigator when it comes to how coffee affects you. I’ve said this before, but a good point to reiterate. The best advice, then, is to pay attention to how you feel when you drink coffee. Does drinking coffee make you more wired, especially when you fast, indicating it stimulates your stress (or cortisol) response? Does it give you reflux or heartburn? Does it upset your digestive tract more than settle it? Everyone has a different tolerance level to coffee, and further, our ability to detoxify it may also be different. If you feel great when you have coffee, and you don’t have any gut-related issues, then it is likely absolutely fine for you. If you notice an irritated gut, or you feel a bit wired, then it isn’t worth persevering with coffee for the purported health benefits – in your case, it might be making things worse. Constant cravings? Here’s 18 evidence-backed (or anecdotal) tips that will curb them. Are you back into the swing of things but your taste buds aren’t? It happens! Especially around this time of year where intake of sugar, alcohol and processed carbohydrates tends to be higher for most people, and while going cold turkey can be the best move, it’s sometimes easier said than done. The good news is that by reducing these foods, you’ll begin to lose the taste for them, and they’ll no longer hold the appeal that they had. For some though, completely removing them is a better idea – even small amounts can continue to drive the appetite for them. Regardless of which camp you fall into, here are some proven, some anecdotal, and some interesting ways to combat those cravings. The basics: build your plate based around protein and fibre, with fat for satiety. Protein is well known to be the most satisfying nutrient, and along with fibre (also key for adding bulk and feeling full) will keep most people satisfied longer than either carbohydrate or fat. Any starchy or carbohydrate-based foods are best if they are minimally processed (such as potatoes, kumara, legumes, fruit) as these will provide more nutrient bang for your buck). How much of each? Protein-type foods (meat, fish, eggs, poultry) aim for 1-2 palm-sized portions. Starchy carbs (if included) at around a fist-sized amount. Fat? 1-2 thumb-sized amounts, depending on the type of protein portion you’re eating: a fattier cut might be satisfying enough, however a lean chicken breast will likely require some added fat to help satisfy you. And vegetables? Go for gold – other than the starchier varieties (mentioned above) you could fill your boots with these. For some people, having a full plate is essential to feeling satisfied and if you can do that by adding more volume, it is going to have a positive effect on the satiety from a meal (that’s definitely me). For some ideas, check out my recipe e-book or my online coaching service. Get rid of anything that is ‘your poison’- if you are the person that hears the icecream calling you from the freezer, it is much better off out of the house. Out of sight, out of mind. Put all the ‘treat’ type food in one place in your house, preferably above eye level. This will save you seeing the Christmas cake when you are grabbing the eggs, and the chocolate almonds when you are searching for the bottle of olive oil. Constant reminders of all the things you are trying not to eat will NOT help your cause. Chew your food properly at each meal. Aim for 30 times per mouthful. That way you’ll digest your nutrients effectively, feel more nourished and less likely to be hungry an hour after eating because you wolfed that meal down. Do not substitute those refined sugars for ‘natural’ sugars. That dried fruit is pretty much just sugar – and (a few nutrients and fibre aside) no better than sugar and will continue to drive your sugar cravings. You shouldn’t rely on dried fruit (or any sweet food that is marketed as ‘refined sugar free’) as a substantial nutrient source . Any additional fibre or nutrients they provide in the diet is negligible compared to the whack of goodness you’ll get when you follow #1 above. When health bloggers or food producers market something based on the healthfulness of the ‘natural’ sugar, it is pure embellishment. 6 meedjol dates and a banana does not make a smoothie sugar free. Coconut oil – this is a favourite of Sarah Wilson’s: a teaspoon of extra virgin coconut oil can kill a craving in its tracks. If we head to the literature to find any peer reviewed papers on the topic (for what it’s worth, there is a LOT of research published by the Coconut Research Center), there isn’t a lot to definitively tell us that it will cut cravings. That said, there is some research has found that people who include more coconut oil in their diet (compared to other types of fat) have reduced food intake overall, particularly in the subsequent meals. Like most things, you have nothing to lose by trying it. Cocoa – chocolate is long associated with cravings, though right now, consumption of chocolate may well increase the cravings rather than stamp them out. It’s also not exactly useful if you’re trying to focus on reducing your intake of junk food! That said, chocolate is known for its cognitive and mood enhancing benefits. So how about some unsweetened cocoa (or cacao) in hot water with some milk to deliver the chocolate taste you are after. Add a touch of stevia if you wish. You could also do this cold with almond milk and ice – and add 1 tablespoon of psyllium husk or gelatin in there for some additional fibre or protein. If chocolate is what you’re after – go for the darkest that you can stand. Many people find they stop at 1-2 pieces of 90% chocolate instead of the 1-2 rows consumed of the 70%. Anything that lowers your blood sugar response to a meal is going to positively impact your cravings. The steep rise and fall of your blood sugar in response to a meal causes alarm bells to start going off in your brain. The body runs a tight ship and prefers when all systems are in homeostasis. Low blood sugar causes a release in stress hormones which tell your liver to dump glucose into the bloodstream, and create cravings so you can re-establish blood sugar to within a normal range. Including cinnamon can reduces glucose response after a meal (in amounts of 6g) and affects insulin response. Stabilising blood sugar is going to help reduce cravings. Sprinkle this gold dust on your breakfast, with your teaspoon of coconut oil, in your cocoa drink etc. Glutamine – can enhance secretion of GLP-1, a hormone which promotes insulin release that helps increase satiety and dampen appetite – this is only seen in some people however, suggesting there is individual variation of its effects. The flipside of this is that the insulin-releasing effects may override any satiety benefits, increasing hunger (and subsequent meal size) at the next meal. However, in practice this is a tool that many clinicians (myself included) have found useful for some (but not all) clients. The presence of glutamine in the bloodstream is associated with improved insulin sensitivity in healthy people. In addition to this, glutamine has been found to be beneficial for improving intestinal permeability and tight junction protein expression in the gut, being one of the most abundant amino acids in the body. 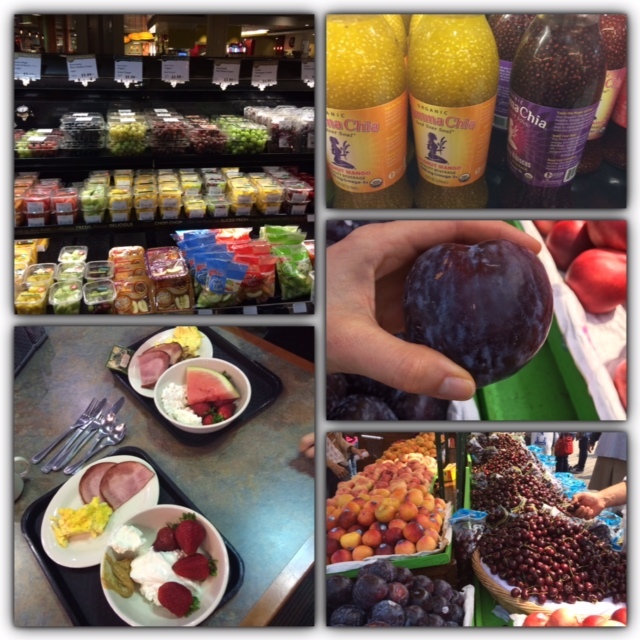 If your cravings are related to gut dysbiosis then it could be useful from this perspective. In addition, it functions as part of neurotransmitter production. Taking L Glutamine by putting it under the tongue as a craving hits (1-3,000mg) may just work for you. Magnesium is a nutrient that is involved in over 250 processes in our body, and particularly when we are under stress, it is put under the pump. Sugar (or specifically) chocolate craving is often linked to a deficiency to magnesium, but that isn’t conclusive. At any rate, magnesium is perfectly safe to take, and as our food supply is relatively low in magnesium, looking for a supplement that is a magnesium glycinate, citrate or chelated with amino acids may be useful, at amounts of around 300-400mg elemental magnesium. Chromium is another supplement that some people have found useful for stopping cravings – research has found a reduction in carbohydrate cravings, food intake and an increase in satiety when supplementing with chromium…however this is in the laboratory using mice. There’s nothing definitive in the research to support using it for people who already have adequate amounts of this mineral. That said (as with anything), it’s individual – I know many clients who swear by using Chromium supplements when a craving hits. The only way to know if it works for you is to try it, by taking 1000mg chromium in two doses in meals that contain carbohydrate (due to its suggested benefits at reducing blood sugar response to carbohydrate meals)..
Branched chain amino acids (BCAAs) are three amino acids that act as nutrient signallers which may help reduce food intake . Leucine (one of the BCAAs) activates mammalian target of rapamycin (mTOR) which is required for our brain to respond to leptin (a hormone that tells our body when we have had enough food). BCAAs are involved with hormone release in both the gastrointestinal tract and in fat deposits. BCAAs and dietary protein enhanced glucagon like peptide-1 (GLP-1) release and reduced the expression of genes required for synthesis and adsorption of fatty acids in a human intestinal cell line (NCI-H716), suggesting an intestinal mechanism for the beneficial effect of BCAAs. Those that have successfully used BCAAs suggest 5g in the AM and every few hours while you’re adjusting your diet back to baseline awesomeness. Make sure you’re getting enough sleep! It’s hard this time of year with longer days and opportunities to take advantage of summer (when it shows up…) Sleep restriction enhances activity in brain regions involved in reward in response to energy dense, nutrient-void food (think: lollies, chips, chocolate), suggesting heightened sensitivity to rewarding properties of food. This can lead to increased cravings. If you are burning the candle at both ends and not yet back to your regular 7-8 hours sleep per night, then nailing this will go a long way to helping curb that sugar demon. Meditation: decentring – viewing your thoughts as separate from yourself – has been found to help reduce food cravings and want for unhealthy food items. Mindfulness practice is also useful for not only reduced cravings, but for reduced emotional eating, body image concerns. It doesn’t require a 90 minute class three times a week (though there’s nothing wrong with that!) Headspace, Calm or Buddhify are three smart phone applications which may help you get going and provide guided sessions of between 2-20 minutes long. It’s consistency and frequency that makes a difference (like any habit). Clay modelling to reduce cravings: yep. Researchers found that visual imagery plays a key role in reducing craving. Participants who worked for 10 minutes constructing shapes from plastacine had reduced cravings for chocolate compared to people who were left to their own thoughts or who were given a written task. Include fermented vegetables into 1-2 meals daily, working up to 1-2 tablespoons at a time. The addition of unsweetened yoghurt (dairy or coconut) as part of your everyday diet (as it contains beneficial bacteria). Kombucha, at around 100-150ml per day (check the back of the label to ensure a lower sugar variety). Water, milk or coconut kefir, start with around 100ml per day. Raw apple cider vinegar in water – start with 1 tsp in a small amount of water, working up to 1 tablespoon. This will help stimulate stomach acid when taken prior to meals, helping you digest your food properly, and delaying gastric emptying, so your glucose response to the meal will be slower too. Vegetables, in abundance, to include fibres that feed your gut bacteria. You won’t need to do all of these – but I think #1-5, #14, #15, #16 and #18 would completely diminish that sugar demon so you can get back to feeling awesome. Could your gut health be responsible for your high cholesterol? You are probably aware if you have been reading my blog for a while and following likeminded people that it’s not as black or white as whether or not your high cholesterol level is a problem. Much as I get a bit on edge when I see plates of food without any colourful vegetables (I’m not going to lie to you! ), I get a little bit twitchy when I see it professed everywhere that it’s no longer a problem to have a high cholesterol level. Not true. Now cholesterol is essential to life. Without it, we wouldn’t be able to make hormones, repair cell membranes and do 68 other things that require cholesterol. Your body makes 85% of the cholesterol circulating in your bloodstream even, meaning that, for most people, the cholesterol eaten by way of animal products (animal protein, eggs, cream, butter, cheese) will have very little impact on their overall cholesterol level in the body. One of the main factors that can cause high cholesterol levels is not the cholesterol that you eat (and you’ll be aware that in New Zealand we’ve not had a recommendation around reducing cholesterol containing foods for a while – though the rumour of the egg just will not die). It’s also not just about the fat that you eat. While scientists were busy trying to prove the diet-heart-hypothesis correct over the last 50 years (you know, the one that has pretty much governed our public health nutrition messages and is still today being pushed by nutrition authorities, despite the failure of aforementioned scientists to do so), the powerhouses of the food industry were busy manufacturing and marketing those low fat, processed, refined carbohydrate-based foods that contribute to an inflammatory state which underpins all chronic disease – including heart disease and high cholesterol levels. That is something I have understood well. However after listening to that brainiac Robb Wolf discuss cholesterol with Dr Rhonda Patrick on a recent podcast about cell metabolism the role that the gut plays in both the inflammatory state and our cholesterol levels which could determine whether or not we should be concerned was touched on. One of these was through increasing insulin resistance (IR; and inflammation) at the local level of the gut, and the other was the inflammation that occurs through gastrointestinal or gut issues which may include this IR, but also any challenge which stimulates an immune response. We know that IR is caused by high circulating blood sugar levels requiring a constant response from our pancreas to produce the hormone insulin to ferret that glucose to where it’s required (working muscle tissue, our carbohydrate stores, red blood cells and retina, brain and excess converted to triglycerides in the liver). Constant and chronic high blood sugar levels and subsequent insulin release causes the pancreas to work overtime which, over time and in some situations, our body is unable to read appropriately or respond effectively – our cells become immune to the insulin trying to deliver glucose and glucose and insulin hang around our blood system causing glycation of proteins, cell damage, oxidation and inflammation. The IR causes systemic inflammation which further drives insulin resistance, higher blood triglycerides, lower HDL cholesterol and weight gain, specifically central weight gain which creates even more inflammation. A bit of a cascade which, if not managed, leads to type 2 diabetes (one of the major ‘end points’ of insulin resistance, if you like). Further, those with type 2 diabetes tend to have higher cholesterol levels. Well, what if this also starts in the gut? Dr Rhonda Patrick spoke of a paper she read in Nature* that reported on research that showed chronic over consumption of processed refined carbohydrates can cause epithelial cells of the gut to become insulin resistant and unable to take up the sugar. We get IR in the local level of the digestive tract and this is pushed out to the rest of the tissues because of the inherent systemic features of the inflammation. Meanwhile, the bacterial cells that are present in our gut are getting all of the glucose that they want and thriving*. Because the IR means our gut cells aren’t able to take the glucose up, the goblet cells in our gut (the ones responsible for secreting mucus to protect our gut wall) aren’t getting the substrate required for them to make energy and produce the mucus to protect our gut intestinal lining. Over time, with no energy, the gut barrier will begin to break down. Now – this is where the quality of the carbohydrate matters. Dense carbohydrates such as potatoes, sweet potatoes and minimally processed grains tend not to be metabolised in the upper portion of the small intestine and tend to provide more fermentable substrate that feeds our gut and supports our gut health (for an excellent paper by Dr Ian Spreadbury – incidentally one of the speakers at the upcoming Ancestral Health Society conference in Queenstown in October, click here). This means that these types of carbohydrate are not going to create the inflammation in the way that those refined grains do – the ones that we base our public health recommendations on (cereal, wholegrain bread, pasta and the like). So, that inflammatory state that is started locally at the gut level is another mechanism that explains how the state of our gut can determine whether your high cholesterol level could be a problem. The other one more directly affects the LDL cholesterol circulating the body. FACT: the gut is the nexus to health – it has the largest concentration of immune cells as it is exposed to the external environment (food). Those immune cells are there to fight off things which are pathogenic. The gut also it has the highest concentration of bacterial cells, and immune cells and bacteria together are NOT a good thing, particularly when they come into contact – that’s why we have that epithelial barrier that protects the immune cells. As soon as that barrier breaks down, the immune cells come into contact with the bacteria cells and it’s all on, they start firing off these pro-inflammatory cytokines to kill off the bacteria. This results in the bacteria releasing off endotoxin – which is where some of the problem relating to LDL cholesterol can originate. Bacteria in the gut have a cell wall called lipopolysaccharide which holds endotoxins –it gets released into the circulation when the bacteria are dying (which is why anyone who is undergoing diet or supplemental changes to change the bacteria in the gut might experience initial discomfort as the bad bacteria die off). This increases production of very low density lipoprotein (and LDL eventually) because these bind endotoxins – they soak it up like a sponge. However, instead of being delivered back to the liver to be recycled it remains in circulation as the endotoxin binds to the LDL receptor on this particle and prevents it from being taken back up by the liver. This will increase the likelihood of the LDL particle being oxidised – a major risk factor for cardiovascular disease. You know it’s not about LDL cholesterol or total cholesterol, it is to do (in part) to particle size –the small dense particles have been associated with heart disease. Now the problem with these LDL particles that have an endotoxin attached is that they are the smaller, denser LDL particles. These particles, already a risk factor for heart disease now have a bacterial signal floating around the blood stream. This causes your immune cells to suddenly be on high alert. The macrophages that come to kill off the bacteria are attacking the LDL and endotoxin and the subsequent action of the immune system starts a cascade of events which over time will lead to the stiffening and narrowing of the artery as it gets stuck there. Is your head spinning? Tell me about it. And I’m not a brainiac and suspect this could have been explained far more simply by someone far more intelligent than I. However, the main take home from this is that if you are someone that leads a lifestyle which promotes inflammation (high intake of processed carbohydrates and vegetable oils, little to no vegetable fibre, no exercise, lack of sleep, too much exercise, smoking, high consumption of alcohol…) then your high cholesterol reading could be a problem. That, for most people, should by now be a no-brainer. However, if you are someone who has these factors dialled in and still has a high cholesterol reading, perhaps it wouldn’t hurt to consider the health of your gut. *try as I might, I couldn’t find this paper. Let me know if you can as I’m interested to read it. Thanks George. 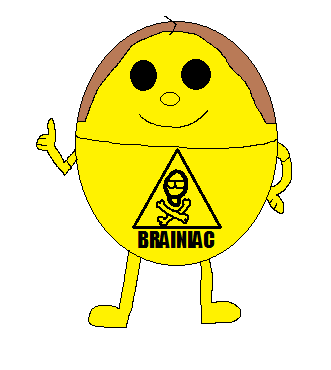 (Not me, though I’m as cute as this dude IMO) – and thanks to http://mrmenoc.wikia.com/wiki/Mr._Brainiac for image. ICYMI, the second Ancestral Health Society of New Zealand symposium took place over Labour weekend, giving me a great excuse to head down to the South Island and reconnect with the geographical region I’ve spent much of my time over the years, and with the people who are part of my ‘tribe.’ I love love love the South Island and particularly Central Otago. It was so great to reconnect with fellow Ancestral Health New Zealand crew, meet up with old Dunedin friends and meet other like-minded people. I am not going to give a detailed account of each presentation – in fact, I don’t need to as the presenters are each writing up a post that summarises their talks – two of which I am sharing today so you can get a taste of what you missed. As a brief overview, there were a mixture of practitioners and advocates of evolutionary health – touching on topics from sustainable farming to endurance training to perceptions of body size ideals. While our first symposium had more of a focus on nutrition, this conference extended well beyond that. The programme from the conference can be found here, and below are two posts already written up by Kate and Andrew. Read, ponder, and definitely keep an eye out for details of our next symposium looking to be held in the first quarter of next year. The day ended with a movement session that didn’t involve exercise; Max Bell (from MovNat New Zealand), Aaron Callaghan (Peak 40) and James Murphy (of Synergy Health) took us through movement and activity patterns that challenged the uncoordinated amongst us (i.e. me) but was suitable for all levels. This enabled pretty much all of the conference attendees to take part. Check out some of the pictures from this (and the conference in general) on the AHSNZ Facebook page here. Overall – it was a brilliant day and a taste of things to come over the coming year. Along with the one-day symposiums in the pipeline, we have our first international event planned for Queenstown next Labour weekend – with Melissa and Dallas Hartwig (Whole 9) and Dr Emily Deans already booked to present. I’m already counting down the days to this one – it’s 346 sleeps away. So I’m writing this from San Francisco. Berkley to be exact. It is 5.24pm and Caryn and I have made it back to our dorm rooms at the end of the Ancestral Health Symposium and taking some down time before heading out to dinner with the rest of the NZ contingent to have a debrief over dinner and a well deserved glass of wine. I had prepared two blog posts actually – to put up on line that were somewhat related to the AHS (as in, they are a summary of an excellent talk given by Peter Attia on cholesterol that he gave at the AHS in 2012). However, given I have half an hour in between now and dinner I thought I would quickly jot down some highlights of the trip so far. As you know, I’m neither systematic nor logical in how I collect my thoughts, and this blog post will reflect that. These are merely some of the many things that have piqued my interest. Dan Pardi – creator of Dan’s Plan talked about the integration of technology to help people stay motivated in their health and wellbeing goals. Now, this concept is nothing new – anyone with a pedometer or fitbit (or anyone that tracks…anything) will be familiar with these tools – however, for some, the idea that we can use technology as a way to advance health through an evolutionary health model seems somewhat contrary to the goal of getting back to basics that many advocate. this talk was a good reminder that ancestral health is not about trying to emulate the environment of our ancestors and eschewing technology – it’s about finding ways of enabling us to meet these health goals. being born by caesarean and the increasing use of formula all presenting challenges for the growth of that bacteria. Based on 2400 Cal per day, 350g rice, unlimited juice and fruit and totaling between 100-400g/d of sugar, this diet was successful in reversing kidney disease and enabling people to regenerate insulin production. An analysis of the Pritikin diet illustrated that it was useful in reducing tissue attoxia (lack of oxygen in the tissue) and finally Esselstyn, famous for the diet that helped reverse heart disease in a small group of patients that had suffered a coronary event, has very recently published a trial that found heart disease symptoms reversed in 198 patients following the diet for three years. I’ve tried to find the corresponding research but have only found this white paper. Further, though one may argue that no one could stay on these diet plans for the rest of their life (and, indeed, Kempner – it was revealed – used to whip his clients if they fell off the diet bandwagon) both the Esselstyn and the Kempner diet’s appear to enable people to reverse their health issues for the long term – even when returning to a more sustainable diet. Denise points out that the health benefits seen on a very low fat diet (both of these were 10% of their calories coming from fat) are very much the same as those on a very high fat diet (80% fat) and that low fat studies (at around 30%) aren’t low fat enough to show the actual health benefits. While this is all very well and good – what is the point of following such an extreme diet approach if it isn’t something that can be followed in the long term? Or even in the short term? I don’t know if the corporal punishment approach would go down that well with my clients. But, then, I’ve not tried it. At any rate, this certainly provided food for thought – even if that food is rather bland and wholly unsatisfying. And – dinner time. Short and sweet (well, shorter by about 200 words), you can see from the little I’ve provided you with, that there is undoubtedly more to follow to debrief you on the latest research going on in the ancestral health field. Not only that, but I will have to post a blog about the food experience to date on the trip also as Caryn and I make our way from San Fran to LA. That in itself is as interesting as the conference for the likes of Caryn and I. A foodie’s delight. Not necessarily that new. Or that different, but just… in a different location. Though have to say, the fruit is massive here.